WHAT ARE THE SNEAKER SHOPS YOU SHOULD NOT MISS FOR A SHOPPING SESSION IN NEW YORK CITY ? Passionate about sneakers or amateur, this top 10 sneaker shops not to be missed on New York City orient you to experts in the field. The managers and sellers are all true professionals of urban culture and will give you the best advice. Here is our selection of the 10 New York shops that are essential to satisfy your urge for sneakers ;). 812 Broadway, New York, NY 10003 – A must-have address since 2005, the Flight Club store has become a benchmark for retail sports shoes over the years. 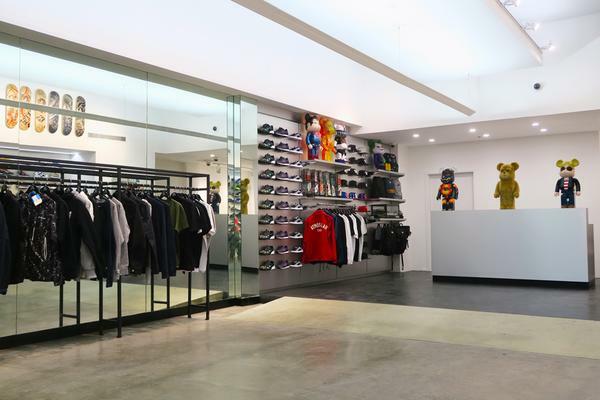 Bringing all the names of major brands on the market, Flight Club has gone from simple sneaker shop to cultural museum for sneaker enthusiasts and novices alike. To make you shudder with pleasure, visit the Flight Club website ! 203 W 125th St, New York, NY 10027 – This small Japanese shop is located in Harlem. 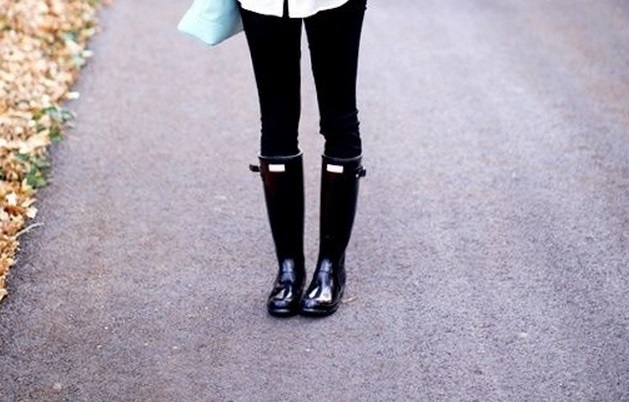 She is well known to New Yorkers, but as a tourist it is easy to pass without seeing it if you do not know the plan. There are sneakers for everyone, be they new versions or very popular versions of the 80s. 482 Malcom X Blvd, New York, NY 10037 – Also based in Harlem, The Sneaker Train store is the preferred meeting place for sneaker lovers. Through a simple and chic decoration you will find a large number of shoes and accessories for all tastes and all budgets ! So, find all their products on their website to not miss any release or promotion. 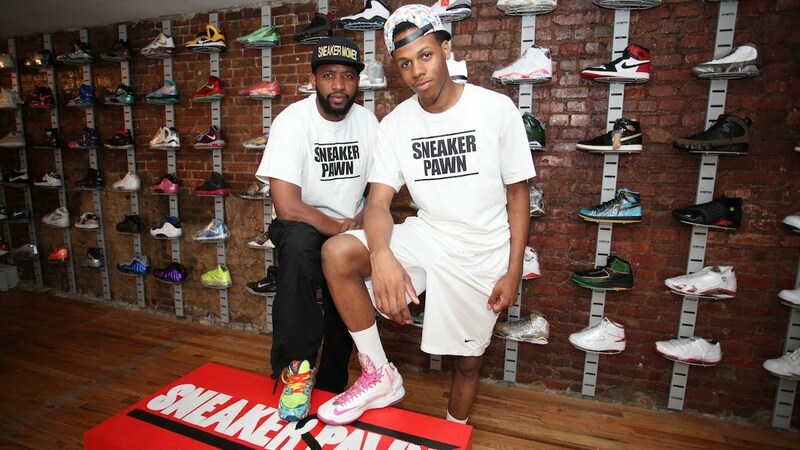 26 W 14th St, New York, NY 10011 – Here is the incredible pawn shop of the sneakers ! Housed in an apartment by two passionate young entrepreneurs, discover the temple of the direct sale of sneakers. Supported by a strong communication on the social networks, the duo shares their nuggets with all the fans of shoes. 158 Rivington St, New York, NY 10002 – Located in the Lower East Side of Manhattan, the Alife Rivigton Club is the perfect place for all sneaker lovers. This great concept store in the image of a former English smokehouse, offers the best of sneakers. From the essential to the limited edition, you will find suddenly your favorite shoe at Alife Rivigton Club ! If you can not go to the store, go ckeck their website to take advantage of their online sale. 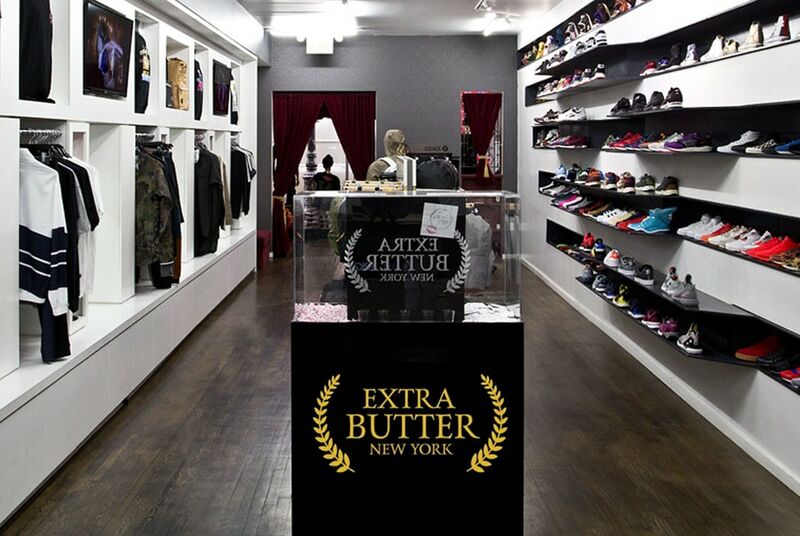 125 Orchard St, New York, NY 10002 – Founded in 2007 in New York’s – Lower East Side, Extra Butter has built on a unique approach of identifying key products and trends and providing quality customer service. Enter the high standard of shoes where you will find a wide range of trendy sneakers, always at the forefront of fashion today ! 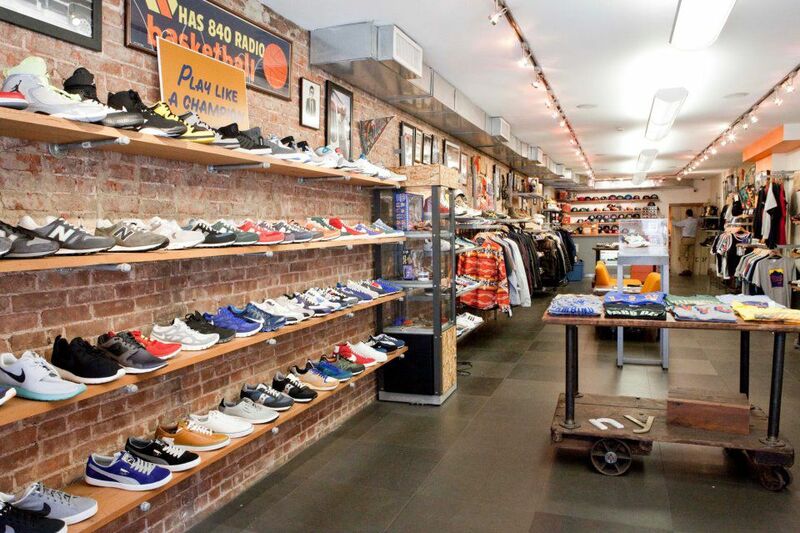 147 W 72nd St, New York, NY 10023 – Fashion paradise street wear, West NYC you discover its many sneakers of major brands. From classic shoes to sneakers limited edition, you will find a wide choice suitable for all styles. Push the doors of West NYC and enter the New York culture ! 337 Lafayette St, New York, NY 10012 – Under a « classic chic » style decoration, the center of gravity of the cool offers a very wide choice of sneakers. Ranging from Nike classics to sneakers of less famous brands and hard to find in New York like Swear London. Kith represents the good taste of New York street wear fashion and will meet all your expectations. Feel free to visit Kith website to learn more ! 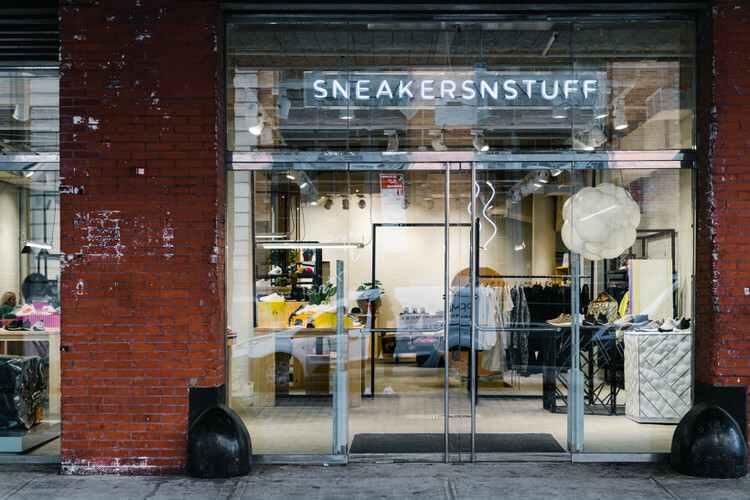 22 Little W 12th St, New York, NY 10014 – Sneakersnstuff has become a worldwide reference of the « undermine » since its creation in Sweden in 1999. 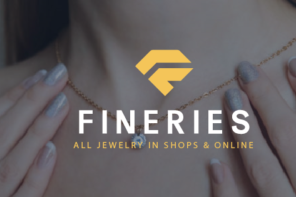 Established in all major cities of the world, you will find a large selection of the biggest brands for women, men and children to affordable prices. As well, the salesmen are all passionate and will be at your disposal to find THE shoe of your dreams ! 274 Lafayette St, New York, NY 10012 – This shop is dedicated to the Supreme brand and its collaborations with some major brands such as Nike, The North Face and others… So, few choices and high prices but unique models ! A small obligatory passage even if it is not necessary to be in a hurry, only about twenty customers are authorized in the shop. I remind you that you can find all the sneakers available around you on KissMyShoe website ! Many other sneaker shops are to discover by walking the streets of New York and can book you some nice surprises. Do not hesitate to complete this article by mentioning your favorite sneaker shops in the comments. 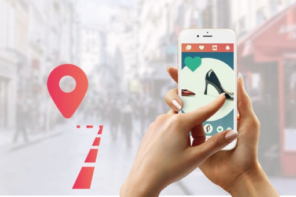 In the meantime, I let you discover these trendy shops ! 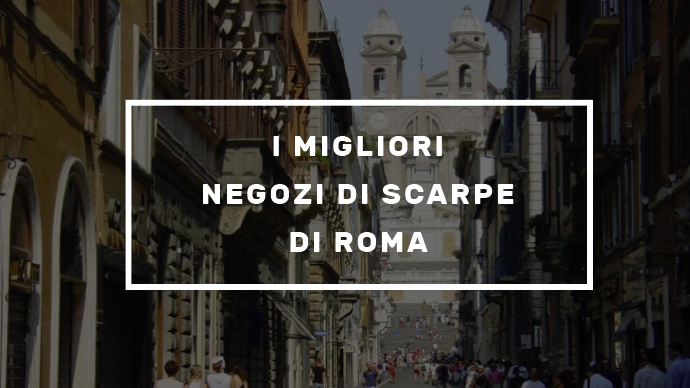 Article suivantSCARPE BIANCHE : COME PULIRLE E RIDARLE SPLENDORE ?